NICHOLAS ROYLE LIVES IN MANCHESTER. He’s the author of a short story collection, two novellas and six novels and has edited fourteen anthologies, including the acclaimed series, The Best British Short Stories 2011 and 2012 (Salt). His novel, First Novel, is due to be published by Jonathan Cape in 2013. Royle also runs his own press, Nightjar Press, and he’s a lecturer at Manchester Metropolitan University. 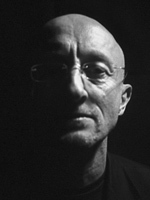 Royle, together with author Andrew Blackman, offered invaluable support throughout the process of putting Still together – including suggesting that Bakker start his own press. He put his stamp of quality control on Still by taking on the copy editing with fellow editor Ros Sales (Time Out). Roelof Bakker talks to Nicholas Royle about writing, his story ‘The Blind Man’ and his on-going support of other writers. Did you start writing at an early age? I wrote a poem at primary school. The opening line was ‘In the dark, dank cave’, but the teacher read it out as ‘In the dark, dark cave’. I can still hear my tiny, whining voice crying out in protest. I think that’s when I became a writer. I started writing short stories when I was 20, at the end of my first year at university. I wrote eighteen and was sending them out all over the place before I sold one. The short story. But ask me again when my new novel is published next year. Your new novel, First Novel, is published next year. An intriguing title, is this the book you’ve always wanted as your first novel? Ah, I anticipated you. No, First Novel is my seventh novel to be published and the seventh one I’ve written. My first novel, Counterparts, was indeed my first novel. I am very interested in first novels. First Novel is about the same thing I’ve been writing about for many years – identity – and other stuff as well. Dark stuff. Who or what has had the biggest influence on your life as a writer (or on life in general)? As a writer, Derek Marlowe and M John Harrison. Both flit in and out of genres, appealing to genre readers and mainstream readers at the same time. And both write beautifully, which I aspire to do. Marlowe died in 1996; happily, Mike Harrison is not just still alive, but still writing brilliant fiction. In life in general, my parents. You are known as a supporter of the short story format and you’ve edited quite a number of anthologies, including the splendid new series, The Best British Short Stories 2011 and 2012 (Salt Publishing), for which you source stories from books, magazines, blogs, journals etc. How much time do you dedicate to reading? I’m always reading either short stories for The Best British Short Stories or novels for Salt or stories submitted to Nightjar Press, or something I’ve been asked to review, or students’ work. I recently bought two novels I really want to read – M John Harrison’s Empty Space and Keith Ridgway’s Hawthorn & Child – but God knows when I’m going to get the chance to read them. 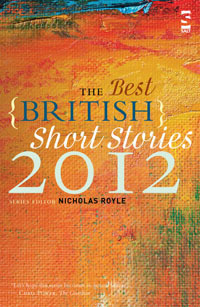 The Best British Short Stories 2011, had a great influence on me on when putting together this book. I particularly enjoyed SJ Butler’s ‘The Swimmer’ and ‘Flora’ by David Rose – both stories are incredibly visually stimulating. I got in touch with you initially to get their details, as I wanted to invite them to contribute to Still. 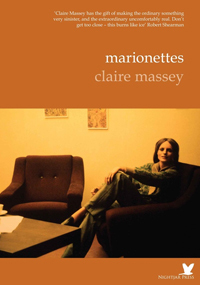 You were immediately supportive of the idea and offered additional author recommendations, including Claire Massey and Myriam Frey, who I consequently researched and invited. Later on, you suggested I start my own press to publish Still – which I did with Negative Press London – and you shared advice from your experience of running Nightjar Press. To put it simply, you were my mentor – alongside author Andrew Blackman. Q&A Andrew Blackman. You also copy-edited Still with renowned editor Ros Sales (Time Out), that was very important to me. Is mentoring part of your make up? Do you enjoy pushing people forward and making things happen? I do, I love it. A lot of what I do incorporates a mentoring element, whether it’s editing anthologies or publishing stories with Nightjar Press, or novels at Salt or teaching creative writing, or even doing actual professional mentoring, which was how I came to know Tom Fletcher, a young writer whose work I had admired when I read some in an anthology. By chance I was approached and asked to mentor him for six months, which led to my becoming his agent and getting him a deal for his first two novels. I find it exciting and satisfying to work with people who I can see – and you do see it straight away, in the first paragraph, the first line sometimes – are really, really good, but maybe their talent has rough edges, their craft needs a little work, and all you have to do is encourage them and help them to see what works and what doesn’t. What’s been happening lately with Alison Moore is one of the most exciting things that’s ever happened to me in the world of books – and it’s amazing when you can say that and it’s not about your own work. Alison’s first novel, The Lighthouse, is one of the first four novels I acquired for Salt, in my role as an editor there. I suggested we enter it for the Man Booker Prize and the publishers agreed. It got longlisted and as a result has been widely reviewed – very positively – and is selling well and getting an awful lot of word of mouth. Even if it’s not shortlisted, the book has benefited hugely from the process. It’s good for Alison, good for Salt, good for everyone who’s enjoyed reading it and good for me, I can’t deny it. I’ve been working with Alison since coming across one of her stories when judging the Manchester Fiction Prize in 2009. I later published one in Nightjar Press that is one of the best short stories I’ve ever read. It’s easily in my top ten short stories. The story you’ve contributed to Still, ‘The Blind Man’, is a dark and twisted story which is strangely poetic at the same time. My feeling is that the boy in story is based on aspects of Nicholas Royle as a boy, particularly the obsession with buses and bus routes? Also, where does this dark side come from? Yes, I used to haunt bus garages and pinch bits off scrapped buses. I had a few destination blinds, which I let go at some point. I really wish I still had them; those place names are so evocative. The ones in the story are chosen deliberately and they correspond to actual bus routes. I still have a complete set of Greater Manchester Passenger Transport Executive timetables from the mid 70s in lovely little ring-binders. Shoot me now, go on. I couldn’t tell you where the dark side comes from as I had a very happy childhood. I think we all have a dark side, just as life has a dark side; some of us are drawn to it. It’s fascinating. The story – like most of my stories – takes some factual biographical and autobiographical detail and embellishes it and twists it and at some point departs from the truth. Do you use visual materials to work out ideas, like newspaper cuttings and photographs? I used to keep press cuttings on all sorts of subjects, but I got rid of them recently, realising that I hadn’t looked at them for 20 years. I do use images a lot, which was why your project attracted me. The abandoned spaces, too, were a big draw for me. I love to prowl around disused buildings and take photographs and notes and then I might write about them, use them as locations. Have you worked with artists previously? There was a great project called Thirteen put together by photographer Marc Atkins. He did a series of black and white shots of female nudes and sent these out, randomly, to a number of writers. I did a story called ‘Standard Gauge’ that I still think works. In addition I collaborated with the artist Devid Gledhill to write a series of short pieces to accompany a series of paintings he did of an East German doctor and his family and their home. David worked from photographs and I worked from David’s paintings. The paintings and texts were exhibited together in a Manchester gallery and may yet form the basis of a second, bigger exhibition. With Nightjar Press you’ve re-introduced the chapbook format: a single print publication dedicated to simply one – usually dark– short story. The books are beautifully made and give the short story format their due importance. Where did the idea come from? Well, I wouldn’t claim to be doing something new. I came across the work of Joel Lane when a story of his, ‘The Foggy, Foggy Dew’, was published in a limited-edition chapbook in the mid-80s. He became one of my favourites writers and a close friend, all thanks to a young man called Mark Valentine, who had the vision and energy to publish that story as a stand-alone pamphlet – a chapbook. Twenty-odd years later I would publish stories by both Joel and Mark in Nightjar Press, bringing my interest in chapbooks full circle. I think there’s something special about the short story. A good story deserves to be made a fuss of. It deserves its own art, its own cover and ISBN. How do you manage to fit it all in: you’re a lecturer at Manchester Metropolitan University, a writer, an editor and a publisher? I don’t think I do fit it all in. I’m slowly whittling away at the hours of darkness and am not getting enough sleep. Something’s got to give, I’m just not sure what yet. Are Nightjar Press planning to publish an anthology of chapbook stories? Will there be an e-book? I’ve been approached by a small publisher wanting to do an omnibus volume, but I don’t know. There are pros and cons. We’ll see. If it were to happen, there could conceivably be an e-book version of that. What’s does future of publishing hold? I like the fact that while the market has got much tougher and the business is pretty cut-throat, and big publishers are less and less interested in taking risks, small independents are doing just that – and in some cases it’s paying off. 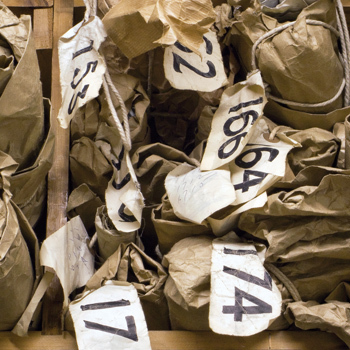 Look at this year’s Man Booker longlist. Three novels from small independent publishers. That’s brilliant. I’m working on a new novel and I’m always working on new stories. I started a story in summer 2011 that I still haven’t finished, but I’ve done others in the meantime. There’s a non-fiction book I want to do, but I’d probably need a contract for that. Nightjar will probably go on – unless sales dwindle. I’m loving my editing role for Salt. The success of Alison Moore’s The Lighthouse has made a big difference to them – to us, I should say – but I’m as excited about the other novels I’ve got coming up – first novels by Stephen McGeagh (Habit), Kieran Devaney (Deaf at Spiral Park) and Simon Okotie (Whatever Happened to Harold Absalon? ), and next spring a new novel by one of my favourite writers, Alice Thompson (Burnt Island). UPDATE: The shortlist for the Man Booker Prize 2012 has been announced since the interview was conducted and Alison Moore’s The Lighthouse is one of three novels from small independent presses to have reached not only the longlist but the shortlist as well.